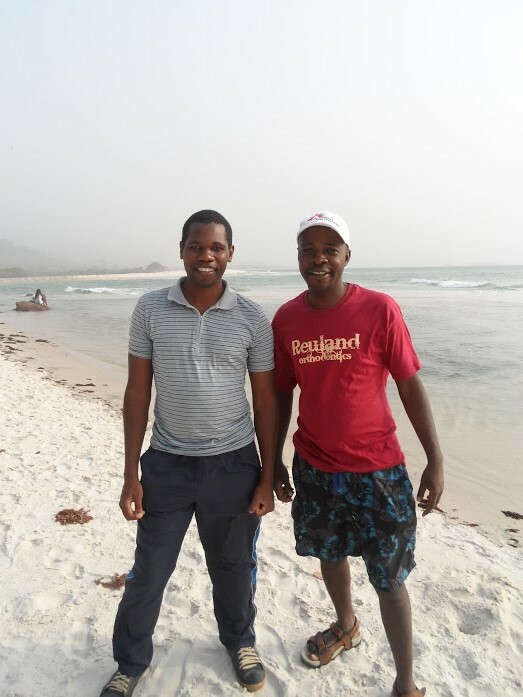 Meet “Team Zim”: Obert and Simba are two IRC Sierra Leone short-term staff members from Zimbabwe. Both have been working in the Bo and Port Loko Isolation Units run by IRC. Obert is an Environmental Health Specialist and Simba is an Isolation Unit Nurse Supervisor. Both of their jobs require them to enter the low risk and high risk zones of the isolation units, for direct patient care or for managing the chlorine systems and WASH facilities. They also provide supervision to the local nurses and environmental health officers and sprayers. Obert is leaving to go back home to finish his post-graduate degree while Simba is taking a week of rest before returning for six more weeks of work inside the isolation units. It’s tempting to drawcomparisons between the current Ebola outbreak to Sierra Leone’s civil war, which ended over 10 years ago. 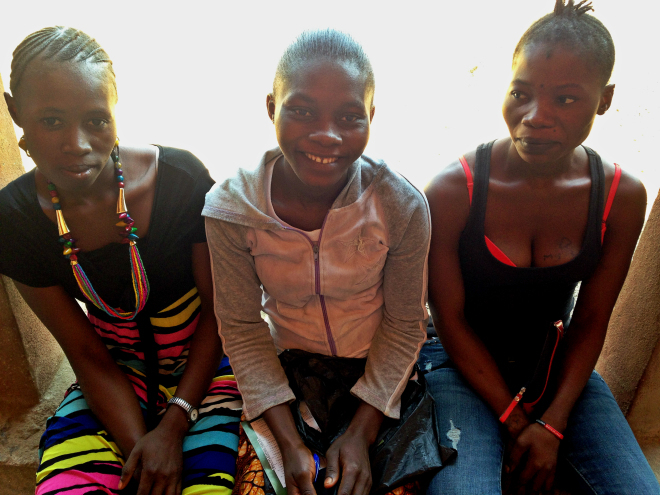 Many Sierra Leoneans have told me they think Ebola is worse than the civil war, because Ebola is an invisible enemy. Before, when the rebels were around you knew where to avoid. Now, you must be live with a constant guard around yourself and your family. 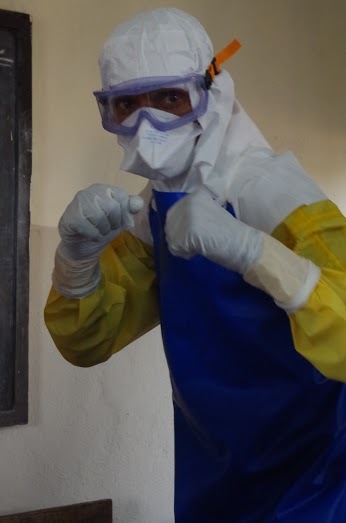 TIME called Ebola fighters 2014’s Person Of The Year. Some of us cringed at that title. Many healthcare workers have told me they reject the notion that they are “fighting an enemy” and want the narrative to be one of supporting local healthcare workers and communities, hard-work, and dedication. I’m going to be writing about life and work in Sierra Leone here now; check it out and follow me! And they’d feast! And they’d feast! And they’d FEAST! I have accepted a position with the International Rescue Committee and will be living in Freetown, Sierra Leone for the next six months. I will be providing administrative assistance and support to the Ebola Isolation Unit program. For updates on this next journey, follow me at my new blog.